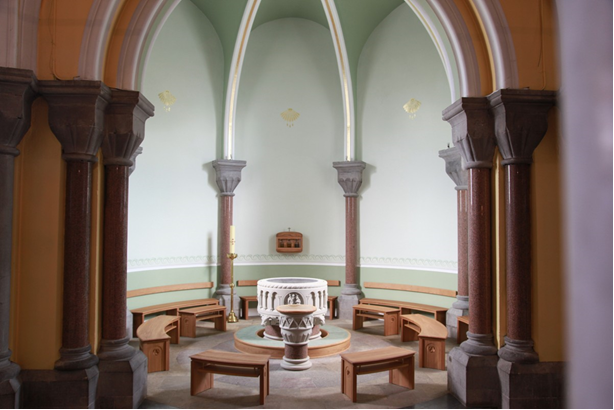 While on his missionary tour of Connacht St. Patrick came to Elphin in 435 where he founded a church and monastery on lands given by the noble druid Ona or Ono or Hono. 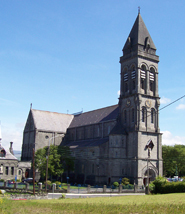 St. Patrick appointed Asicus as first abbot-bishop of this church in the fifth century. 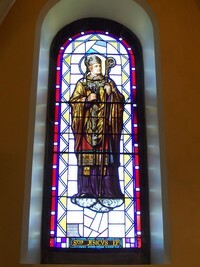 St. Asicus was a worker in metal, and is described in the Book of Armagh as a cerd, or wright. He made altars, chalices and patens, and metal book-covers for the newly founded churches. He is always portrayed as both a craftsman and a bishop. He preached the word of God through his work. Asicus left Elphin seven years before his death to lead a more penitential life and lived in solitude on the island of Rathlin O’Beirne off the coast of Donegal. Some of the monks at Elphin pleaded with him to return, and on the way he died at a place called Rathcung near Ballintra in County Donegal, where he is buried. His feastday is celebrated on April 27th. St. Asicus is depicted both in a stained glass window in our cathedral as well as on a carved wooden statue which was discovered in London in 1960 and is situated at the rear of the cathedral. 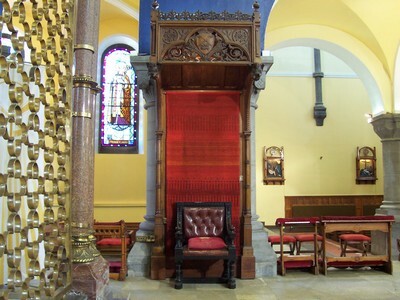 The information for this article has been taken from “The Diocese of Elphin, People, Places and Pilgrimage” published by Columba Press – ISBN 1-85607-299-1 in 2000. Our sincere thanks to its editor Fr. Francis Beirne, Diocesan Historian and Parish Priest, Ballyforan, Co. Roscommon for his permission in this regard and his kind assistance with this publication.